Matala is ideal for those who want to spend their holidays near lovely beaches, large archaeological sites and many villages which retain their traditional atmosphere. Matala itself has lost most of its traditional colour, but traditional villages such as Sivas and Kamilari are nearby, with many more waiting to be discovered within a 20-kilometre radius.Matala is not the place for wild nightlife and fun, but there are several bars where you can have a drink and listen to music by the sea. 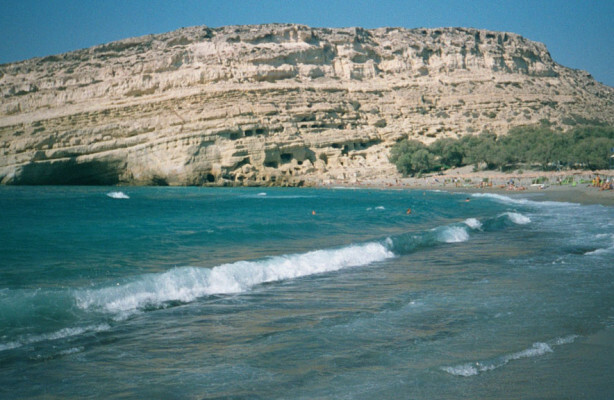 For those who are interested in Cretan history, Phaistos (Minoan Palace), Agia Triada (Minoan Villa) and the ancient city of Gortys are very close to Matala.Matala has a wonderful beach, while nearby are the beaches of Kokkini Ammos and Kommos.